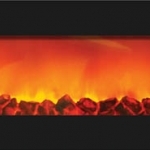 The WM-SLIM-54 is a great fireplace for small and difficult areas. 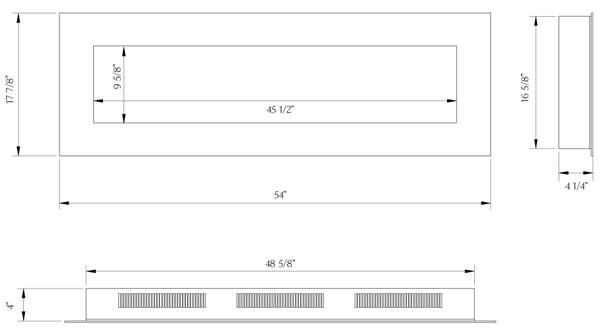 At a mere 4 inches thick, the WM-SLIM-54 – Wall Mount Zero Clearance fireplace is the perfect unit for a wall mount application. Heat is propelled from the top of the unit and the flame can operate with or without heat. 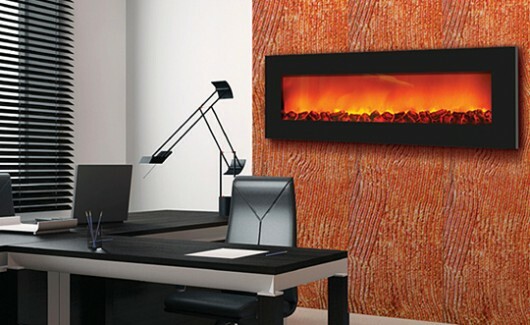 Featuring a beautiful ‘gradient’ flame and a realistic coal bed effect, the Slim Line series will make a great impression on any space. 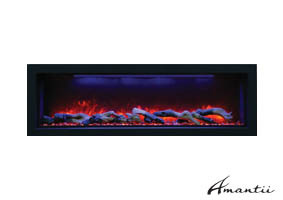 A clean black glass surround finishes the contemporary look of this fireplace. 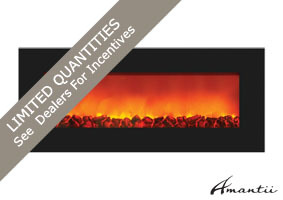 Also perfect for new construction the WM-SLIM-54 – Wall Mount Zero Clearance fireplace can easily be switched to a no heat and no fan mode allowing you to install the unit within the standard 2×4 framing depth. *Warning, please consult the owner’s manual if a built-in application is desired. Coal bed – as shown in model.